Len Saunders is an immigration lawyer practising in Blaine, Wash., a busy port of entry for British Columbians headed to the U.S. He said that while instances of Canadians being denied entry for smoking marijuana were once rare (he estimates he looked at only a few cases per year as recently as 15 years ago) they're much more common now. He said he now manages one to two such cases per week. And naturally, with marijuana legalized, the question could start coming up at the border a lot more often. "When Trump talks about building a wall on the southern border, I see a wall on the northern border for Canadians because of marijuana. There's a brick wall going up on the northern border for Canadians if they answer truthfully whether they have smoked marijuana," Saunders said during an appearance at a Senate committee studying the matter. Are cities ready for legal weed? Public Safety Minister Ralph Goodale has said Ottawa has kept the U.S. government in the loop throughout the legalization process, explaining to its officials that importing or exporting cannabis will remain illegal. "There should be no reason for them to change their basic questionnaire when someone approaches the border to cross. They agreed with that proposition," Goodale said in an interview. Ralph Goodale, public safety minister, weighed in on border issues ahead of legalization. 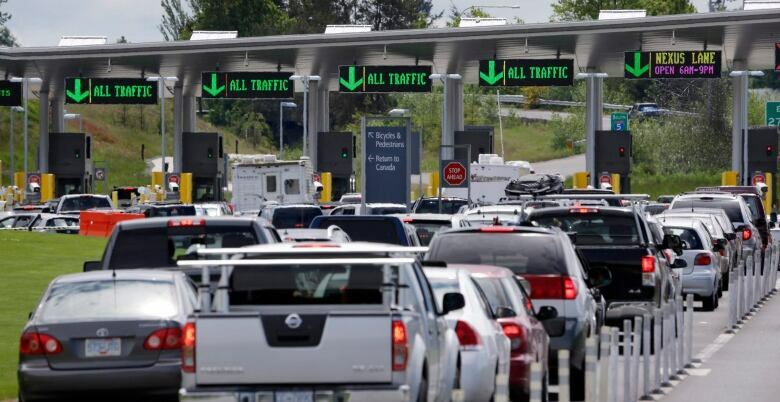 The federal government has posted signs at border crossings warning Canadians not to bring their legal marijuana into the U.S. — just as the Americans do for their citizens with signs informing them of Canada's strict firearms regime. 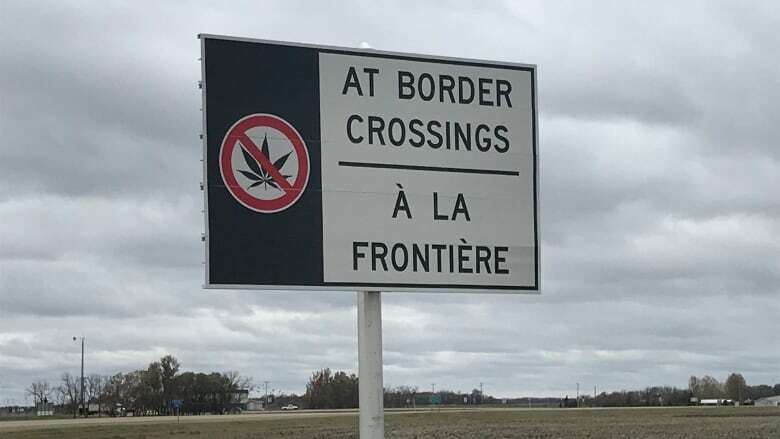 It also will be illegal for travellers to bring cannabis to Canada from abroad. A government official told CBC News that all Canadian Border Services Agency (CBSA) guards will now be required to ask each and every traveller about cannabis possession at the border, and a question will also be added to the declaration forms travellers fill out when entering Canada by air.